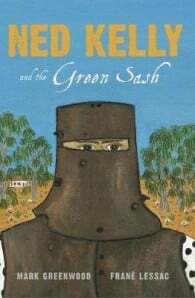 A narrative non-fiction picture book about the life of Ned Kelly and the Kelly Gang, Australia’s most infamous bushrangers. New paperback edition! As a young boy, Ned Kelly saved a classmate from drowning in a flooded creek. He was rewarded with a green silk sash for his heroism. Yet, within a few years, he became an outlaw who was eventually hanged for murder. 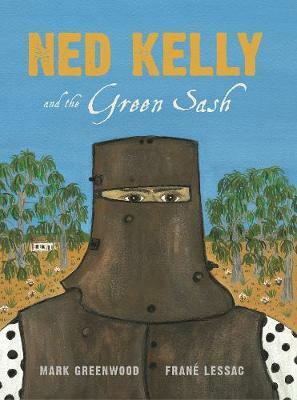 Ned Kelly and the Green Sash is a window into the character of a poor boy, once honoured for his bravery, who grew up to become Australia’s most notorious bushranger. Mark Greenwood is a history hunter. He enjoys searching for lost explorers and glittering treasure, solving famous cold cases and delving into Australian history's most baffling mysteries. Frané Lessac loves to travel and to create books based on her worldwide journeys. She is an artist, author-illustrator, publishing over forty books for children.